We left Denver International Airport, changed planes in Los Angeles International Airport, and now learning about our new plane. I, Zeb the Duck, can only read part of this sign. Now a picture of our airplane appears. Mom, does that say 15 hours and 15 minutes to our destination?? 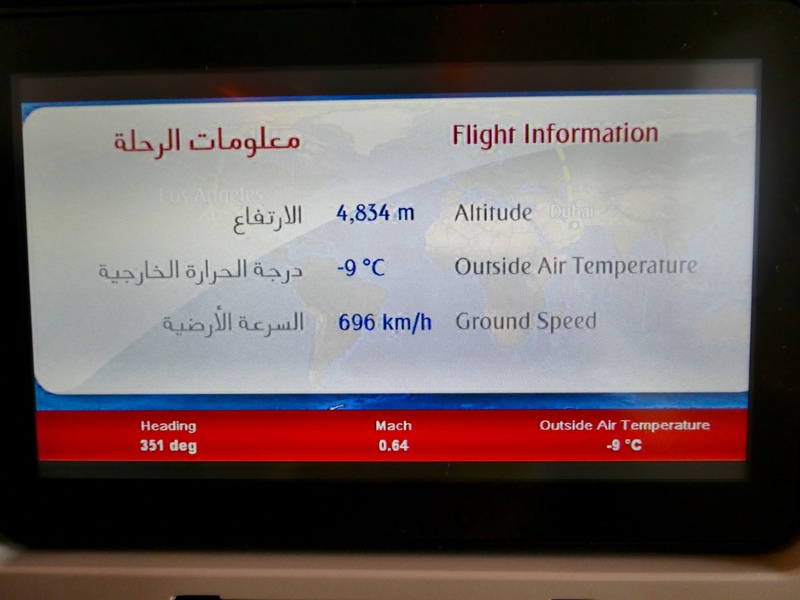 This is a long flight! But the seats were big enough. The plane was not full. 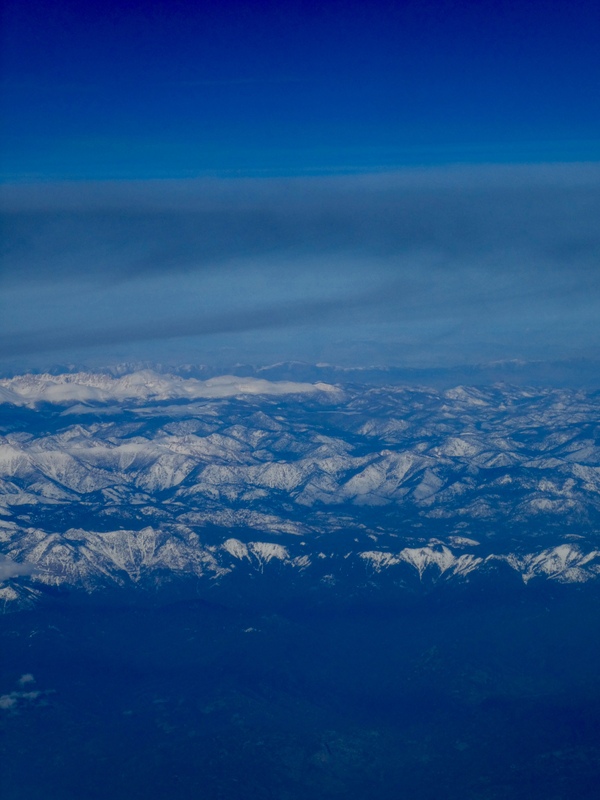 I am seeing the mountain peaks of California. That’s a lot of food. And tasty chicken. We received three meals and many beverages. All delicious. A long, but comfortable flight, and we were in the economy class seats. This was nice. 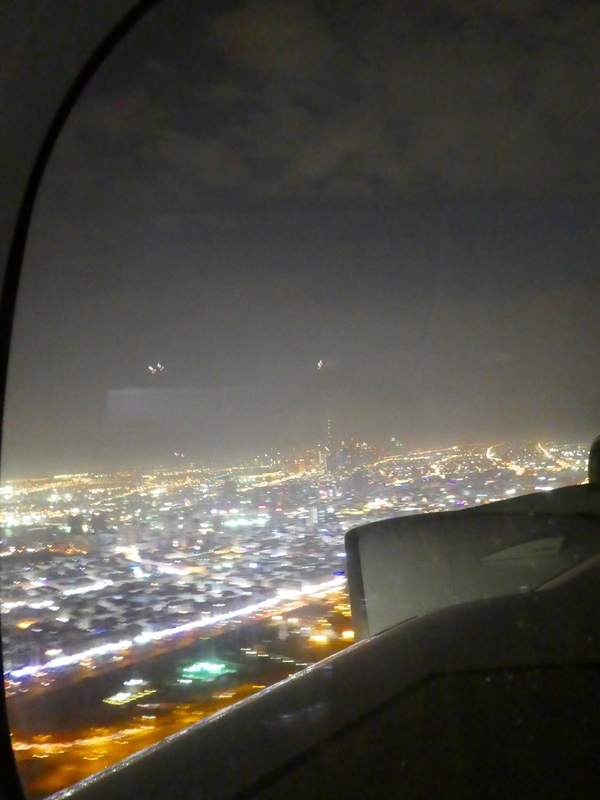 Out the plane window, I see the lights of Dubai. This is a huge airport. We are in the United Arab Emirates, and this country was created December 2, 1971. Everything is new and very big. So much shopping here, but no time now. We must clear customs and immigration, get our luggage and meet our tour guide. We are touring with SmarTours of New York. We meet Tariq, our guide, get on the bus and head for Abu Dhabi. 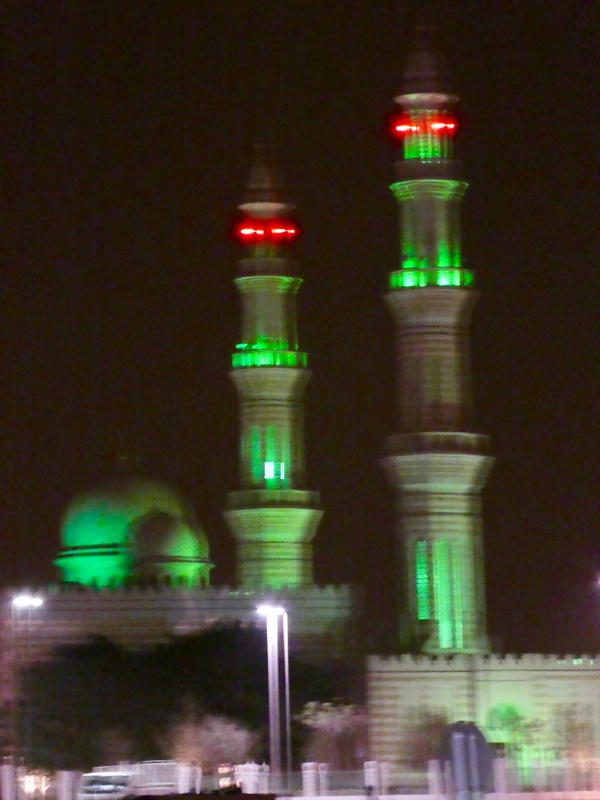 From the bus we see this mosque, with green lights. Sheikh Zayed Road leads us from Dubai to Abu Dhabi. 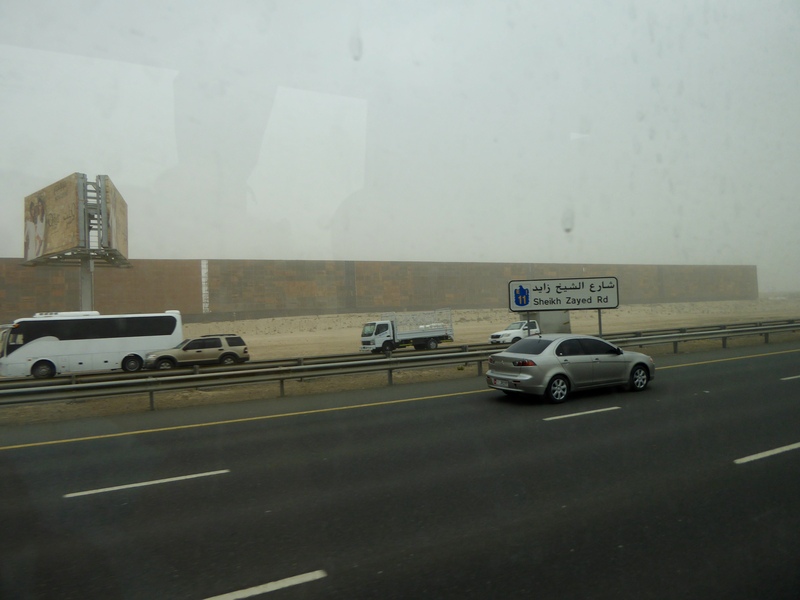 About 2 hours driving through the desert will bring us to Abu Dhabi. This highway is huge. We see 5-6 lanes in each direction. I don’t see much traffic now, but they say sometimes there are many vehicles. 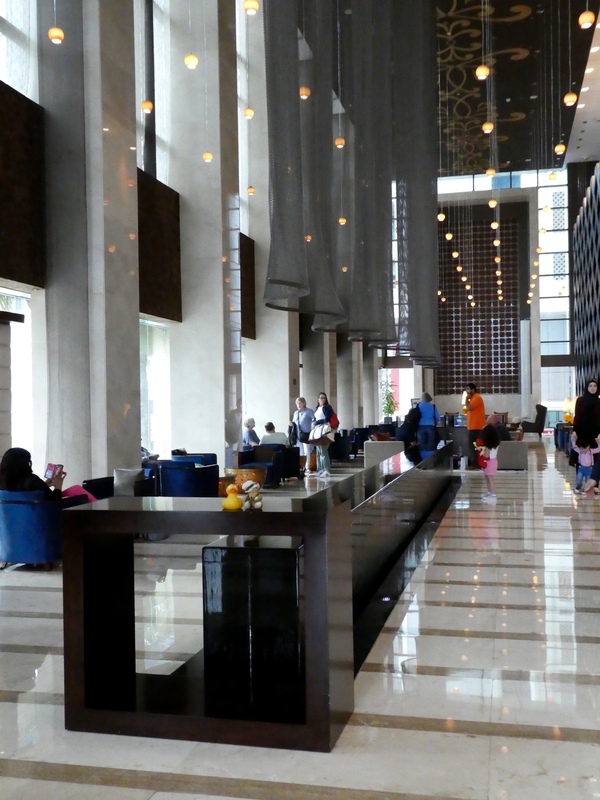 We will stay in Abu Dhabi three nights, at the Southern Sun Hotel. 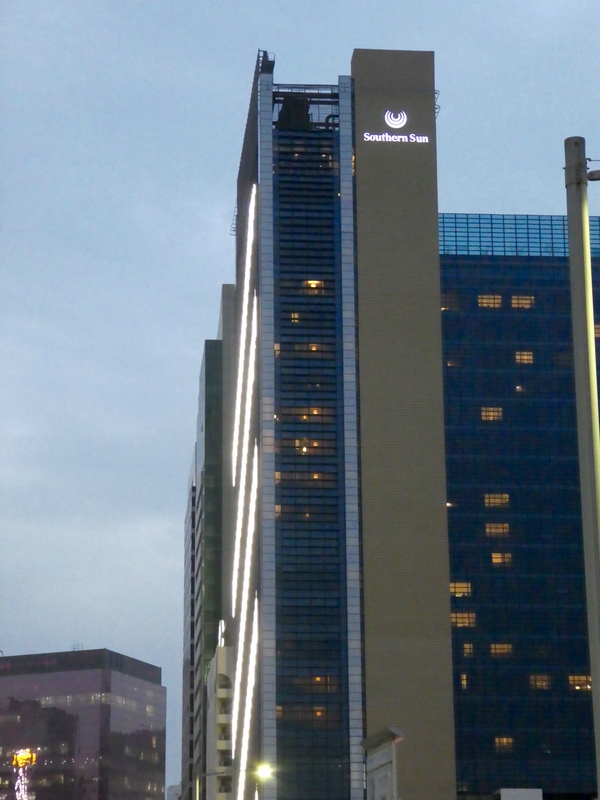 The lights move on the front of our hotel. We have a nice, bright lobby. And you can now see who is here with us! Chanel the Bear, my good friend, and her mom are in Abu Dhabi. We will have so much fun traveling together. 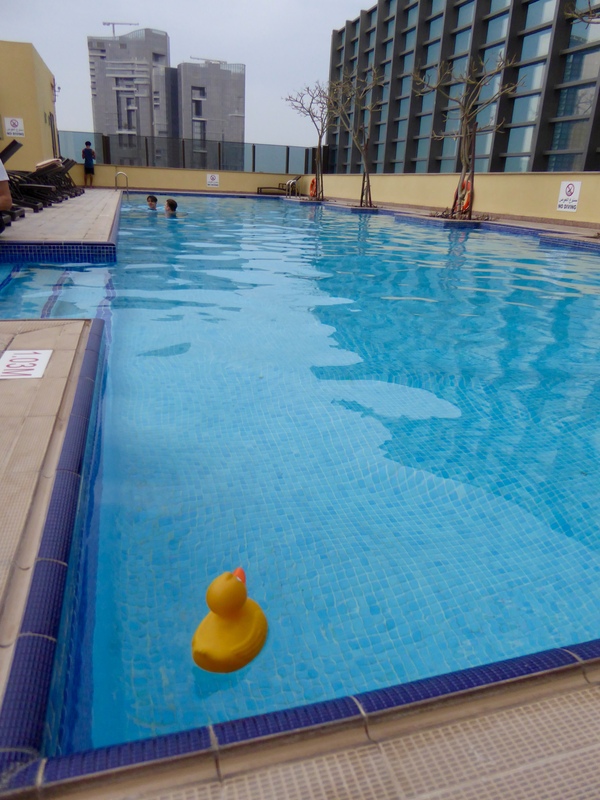 I, Zeb the Duck, wanted to find the swimming pool. It is an outdoor pool on the top floor of the Southern Sun. A little chilly now, so I won’t stay in here long. Looking through the glass wall, it is a long way down. Chanel and I, Zeb, take our moms for a walk around our neighborhood. We saw many new things, several small shops and restaurants. Even a money exchange office to change US dollars into United Arab Emirates dirhams. We receive about 3.65 dirhams for each US dollar. 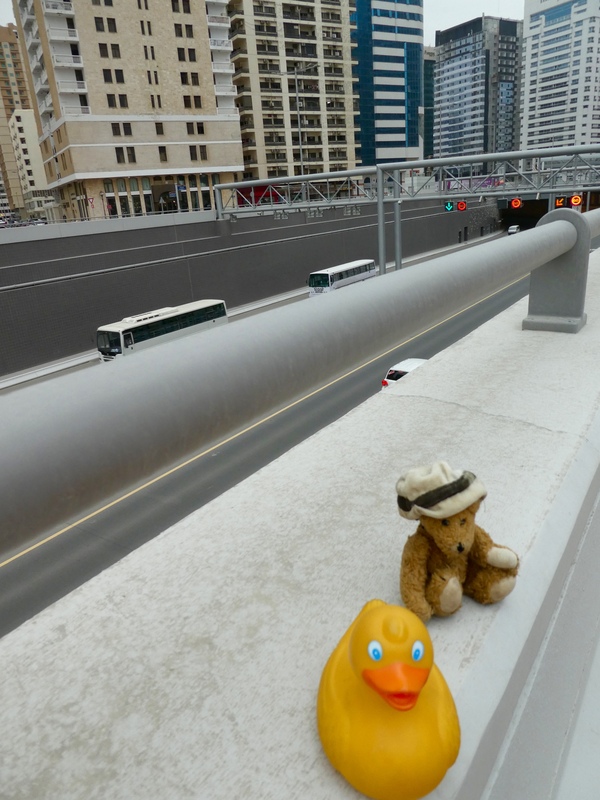 Carefully sitting on the railing, we wanted to show you how wide the highways are in Abu Dhabi. We love wide streets. 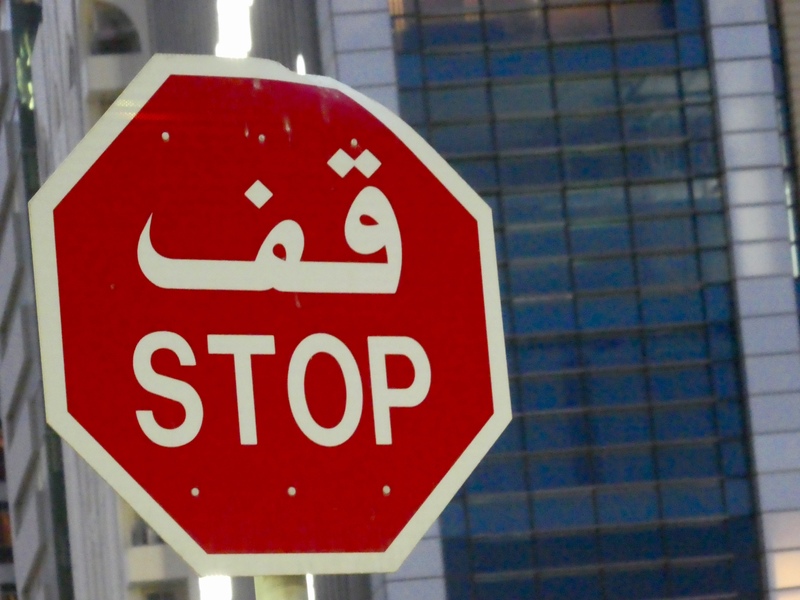 Walking on side streets, we are happy that most countries in the world use the same type of stop sign. Isn’t this fun to see? It is exciting to see new things. Chanel and I, Zeb, want to show you so many things about our trip to the United Arab Emirates. We hope you keep reading. 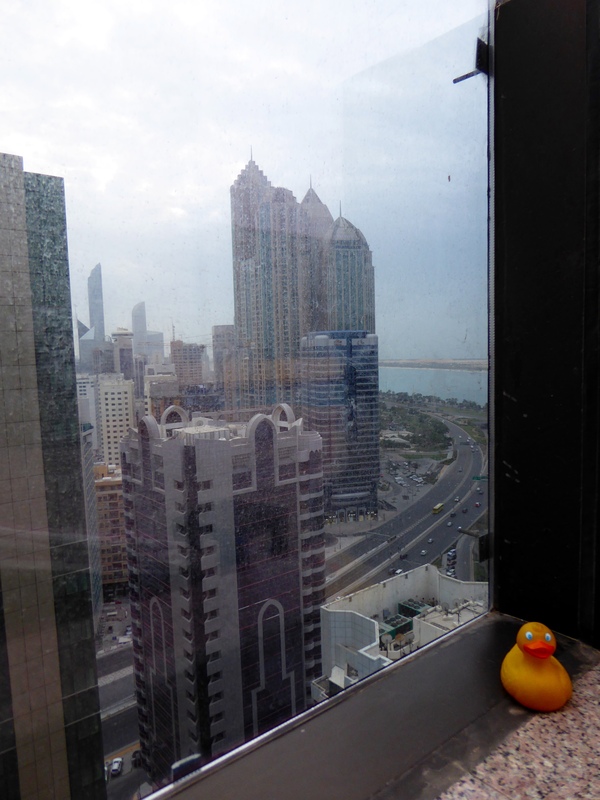 This entry was posted in Abu Dhabi, United Arab Emirates and tagged Abu Dhabi, Chanel the Bear, Colorado Traveling Ducks, Dubai, SmarTours, Southern Sun Hotel, United Arab Emirates. Bookmark the permalink. It was exciting. Dubai and Abu Dhabi are so big, so new, and so busy. We loved this trip. Hope you enjoy future posts as much as we enjoyed experiencing it. Thanks for reading and commenting. This was exciting. And so different from other trips. We look forward to reliving the experience as we show what we saw and experienced. Thanks for reading and commenting. Awesome! 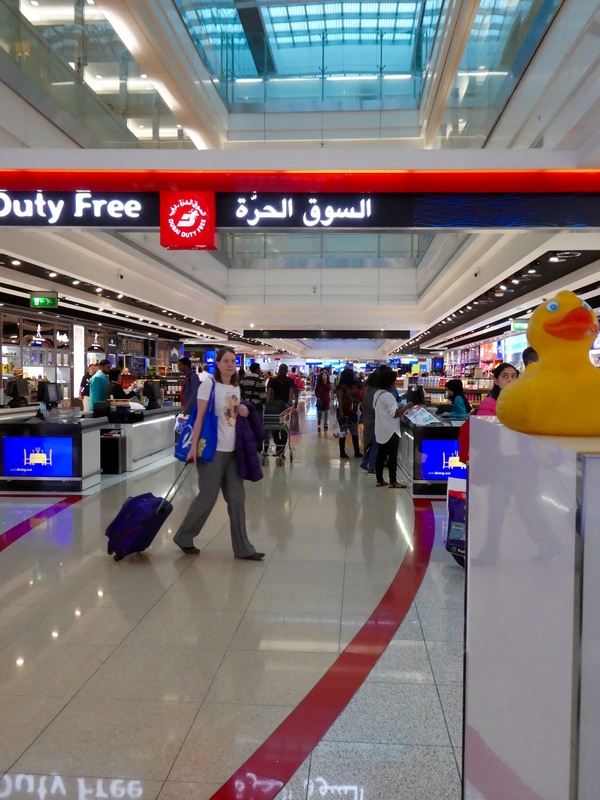 What airline took you from LAX to DXB? 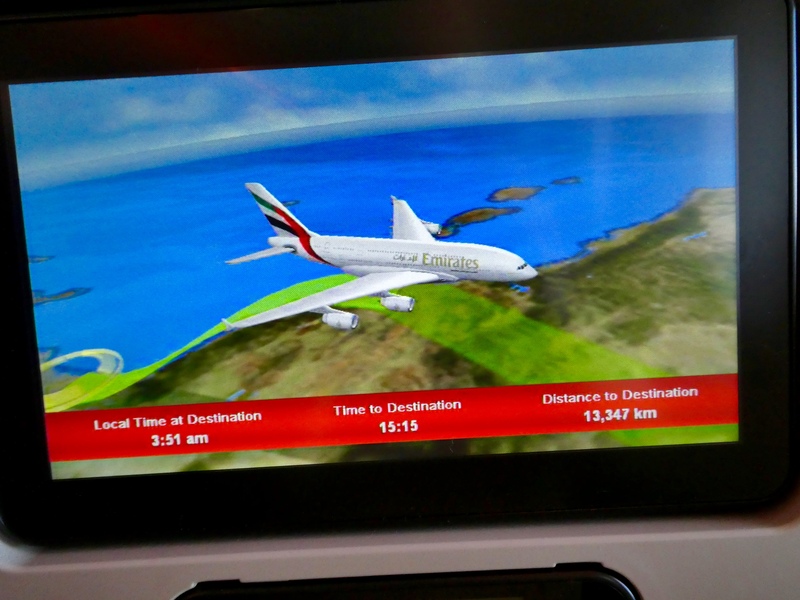 We flew Emirates Air. 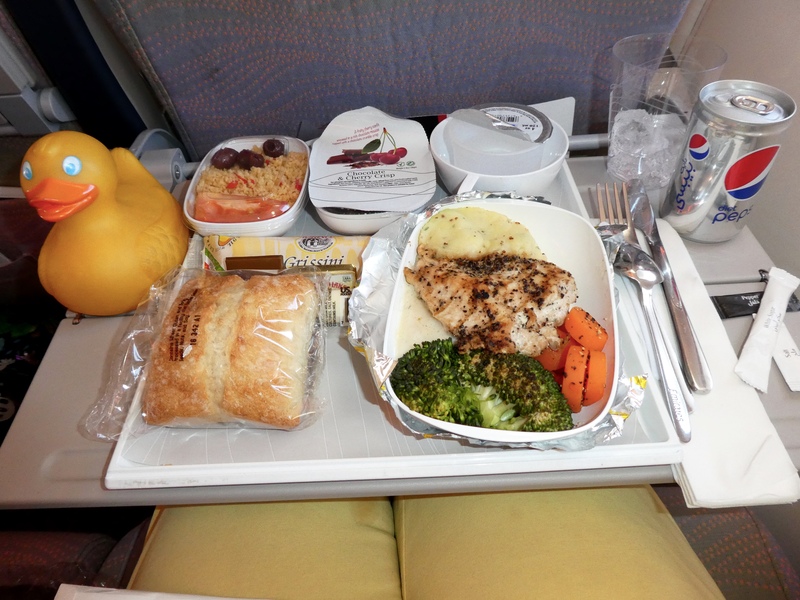 Even the less expensive seats had plenty of room and the service was exceptional. It was an eye opening trip. Thanks for reading and commenting.